We love the appliqued throat on Wind Master. This is a choice cultivar that has done exceedingly well in northern gardens - exceptionally beautiful, hardy and moderately vigorous, we finally have enough to offer WM for sale. Well branched scapes are sturdy and upright. Budcount can hit 45 in Florida although we usually see a little fewer. 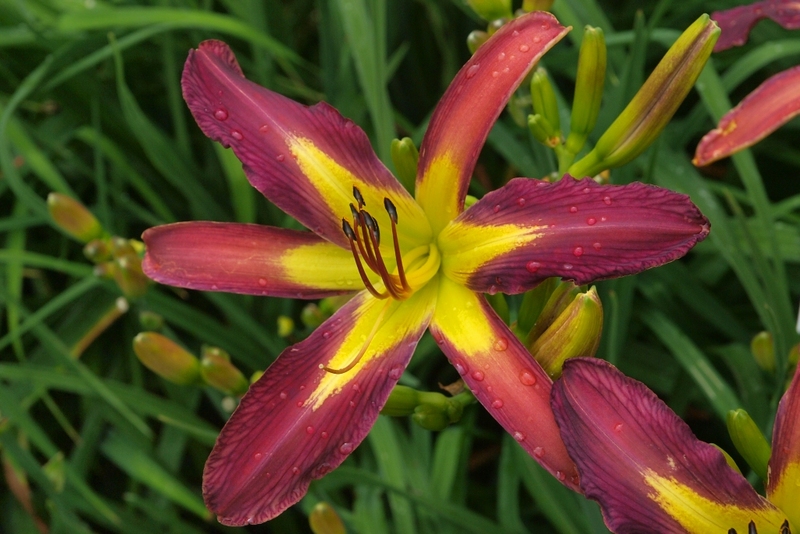 Colour intensity and clarity along with the patterned throat make this a most desirable daylily.